A/B testing is the simplest method of checking which content works best for your target audience. You create two versions of your content, divide your target audience into two random groups and show the two versions. 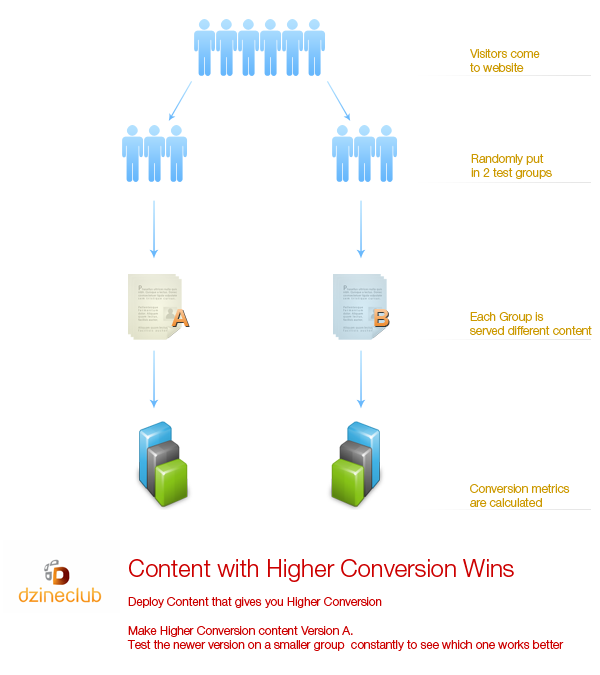 You then compare the conversion metrics on those two groups to see which one works better. Not enough traffic means that the results might not be accurate. Make sure your testing sample size is large enough. 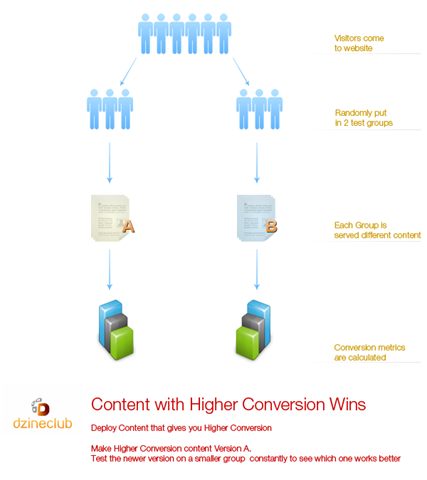 Small conversion wins are not a good indication of a winning content. Have the tests running for a reasonable time and only accept content that is visibly winning. if you are making a radical change on your content to test, test it on a small percentage first. Lots of times big changes on site don’t resonate well with the visitors. Many tools allow you to test new visitors rather than returning visitors so test on this group first before testing it on all the visitors. ABtests.com has a repository of A/B tests performed by users and uploaded to the website. You can see the different versions, what was different on them and how they performed. Similar to ABTests.com Whichtestwon.com shows the different test and results of testing. It also allows you to test your gut feeling and see how correct you were. 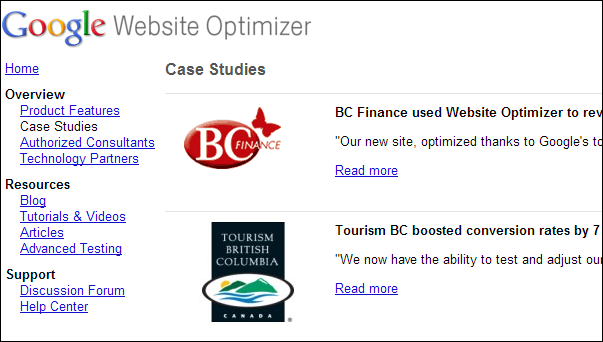 Success Stories Section of Google Website Optimizer with information about what was tested and what kind of results came up.